The new French government, led by Prime Minister Manuel Valls, yesterday won its first vote of confidence in the National Assembly. That was expected, but the big news is that Valls and his government have fallen well short of winning an absolute majority. 269 MPs voted in favour, 244 against, and 53 abstained. The absolute majority is set at 289 votes. Most importantly, the voting records reveal that 31 MPs from the Prime Minister’s Socialist Party chose to abstain. Back in April, when Valls sought the confidence for his first government, he got 306 votes in favour. Hence, yesterday marked a substantial step backwards. 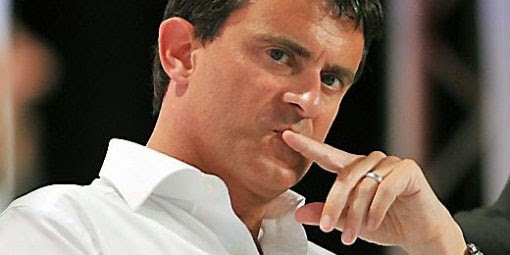 The outcome of the confidence vote seems to confirm that the ‘left wing’ of the French Socialist Party remains opposed to the economic policies being pursued by Valls – which in substance means remaining critical of the approach defended by the European Commission, Germany and other northern eurozone countries. Incidentally, these divergences forced a cabinet reshuffle at the end of August – which saw the ousting of the three most left-leaning ministers, notably including Economy Minister Arnaud Montebourg. French history shows that it is possible to govern without an absolute majority in parliament. Another Socialist Prime Minister, Michel Rocard (widely seen as one of the political mentors of Valls), did it between 1988 and 1991. However, it remains to be seen to what extent Valls will be able to push through the wide-reaching reforms and sizeable spending cuts demanded by the EU if he fails to win back the full support of his own party. As an alternative, he may try and strike deals with the smaller centrist parties in parliament – but the success of such a move would be far from guaranteed. Indeed, this is hardly great news at a time when the French economic situation is not encouraging, making it essential to move forward quickly with the necessary measures. The road to recovery may have just become longer and bumpier for France.